You caught me – I’m having fun with the cherita form again! I enjoyed writing last week’s end-of-summer cherita so much, I just had to do it again. 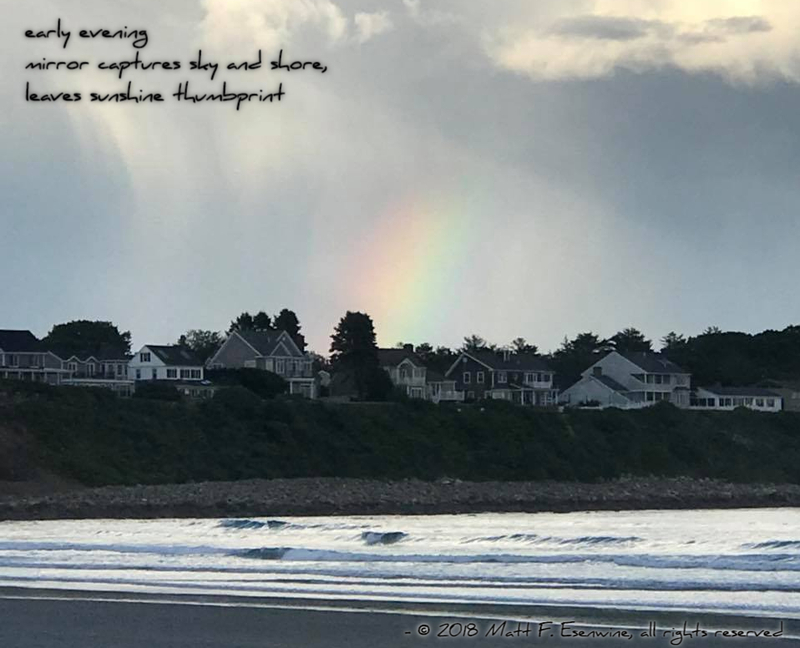 And I was fortunate to finally put words to a photo I’d taken a month ago while my wife & I were spending our anniversary in York Beach, Maine. The photo has been stuck in my head ever since I snapped it, so I’m glad I was able to provide it some poetic justice. I also wanted to include a lot of internal rhyme, and I think I managed to do so without being too heavy-handed. 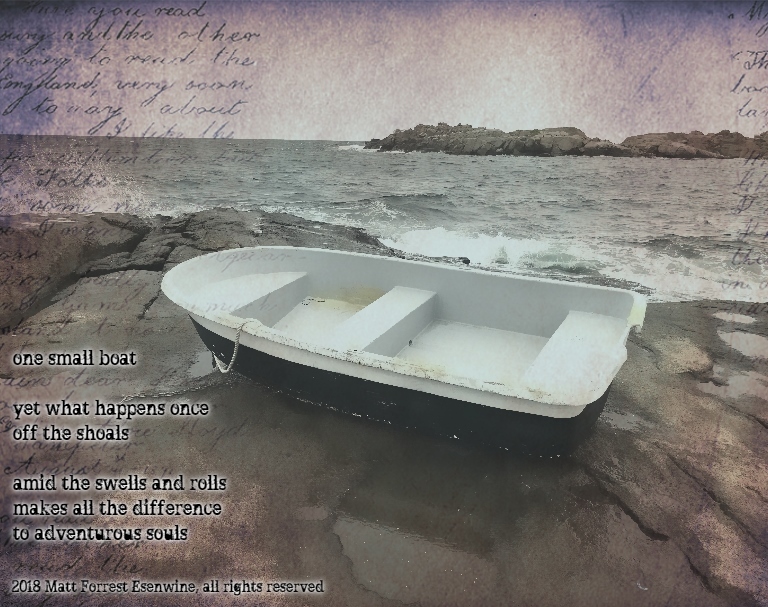 And since it’s Poetry Friday, I encourage you to check out all the links at my friend Carol Varsalona’s blog, Beyond Literacy Link, where she’s hosting today’s roundup with a sneak-peek at her forthcoming “The Art of Summering” gallery! 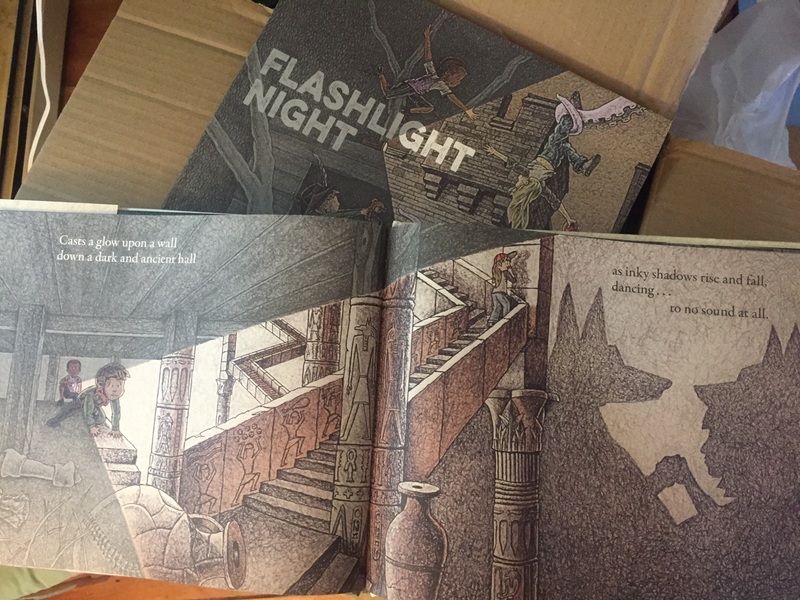 “Flashlight Night” celebrates its FIRST BIRTHDAY in just two weeks! Stay tuned for a special celebration post, where you could win a personally-signed copy! My wife captured this photo during the last week of June, while we were staying at a friend’s cottage along York Beach, Maine. We were walking along the shore around 6pm or so, and after a brief rainfall, we noticed the sky attempting to display three separate rainbows. Alas, they were only pieces, but I’ve had this image stuck in my head for some time now, and wanted to find a few words to accompany it. Finally did! 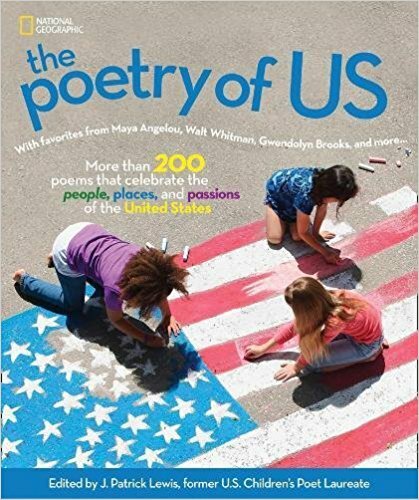 By the way, if you missed my little “tip of the hat” to elementary school teachers, you’ll find a mid-summer poem HERE – along with links to a few of the summer reading lists that include Flashlight Night (Boyds Mills Press, 2017)! Of course, if you’re still hungry for more poetry, you’ll find all of today’s links at Poetry for Children, where Sylvia Vardell is hosting Poetry Friday. 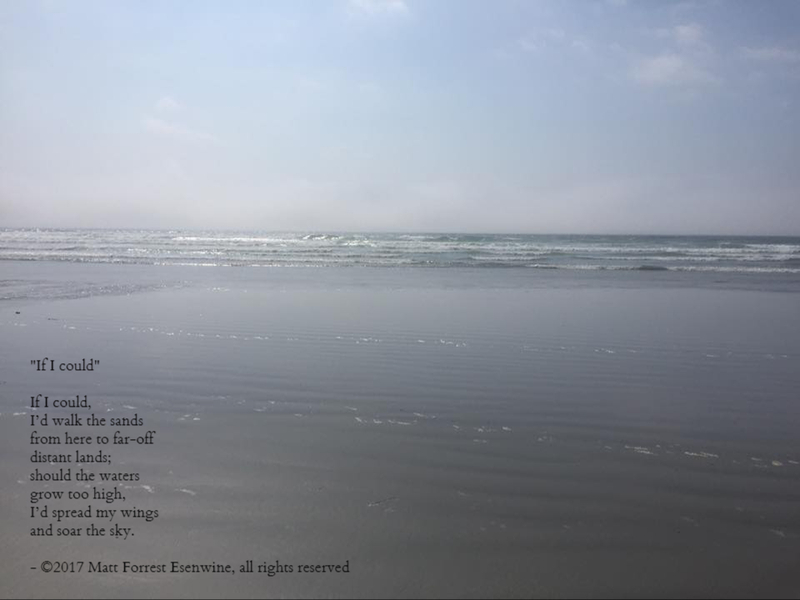 Poetry Friday: Ocean musings and a GIVEAWAY! This is a photo I took on our first day of vacation at York Beach, Maine, last week. We were there for our annual summer kick-off excursion (fortunately, we have friends who own a cottage so we get to rent it on the cheap! ), and we got to celebrate both Father’s Day and my birthday (June 24) while we were there. That’s right…an entire box of advance copies of Flashlight Night! So after I set aside 5 to give to my kids – to whom I dedicated the book – I decided I should give some of these things away. If you’d like to win a signed copy, just leave a comment, “like” this post, or share this post via Twitter and/or Facebook! (and if you do all four, that’s four chances to win!) If you share via Twitter, please tag me @MattForrestVW so I can give you credit; if you share via Facebook, just leave the link in the comments section below. I’d also LOVE to announce my 500th follower…so if you are not already following this blog, I hope you’ll consider doing so. Right now, I have 487 followers, so the number 13 could turn out to be very lucky: my 500th follower will receive another signed copy! Flashlight Night (Boyds Mills Press) hits bookshelves Sept. 19, 2017, and pre-orders are available now through Barnes & Noble and Amazon, or by clicking the image of the cover to the right. Of course, if you prefer, you can always wait til Sept. 19 and purchase it at your favorite local independent bookstore. The family enjoyed a nice, relaxing, and predictably short week in York Beach, Maine and returned the weekend before the 4th of July – which meant spending most of this past week catching up on work (voiceovers to be done), writing (another children’s book manuscript complete and a new one begun), and prepping for the long weekend (aka, cleaning the house). Once the weekend finally arrived, we managed to find time to pick strawberries, can 10 jars of strawberry-rhubarb preserves, make a big batch of strawberry sauce, bake two pies and a fruit tart, catch the fireworks display Sat. night, and spend Sunday with my folks. Needless to say, fitting a blog post into all this mayhem was a challenge I simply was not ready to accept! I value my family time – and as important as my blog is, there are other things more important. Anyway, now that I’m back, I can relate to you my Maine experience. 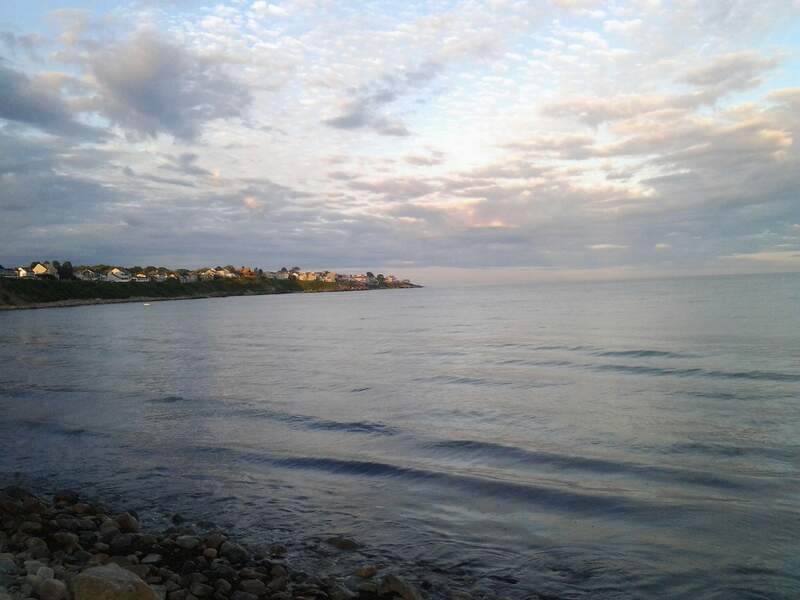 We go up to York Beach each summer, and although it’s just over an hour away, it feels like it’s another world; we live, breathe, and eat the beach, and for someone like me who loves the ocean, it’s hard to not want to stay! This is about mid-tide; The Longsands area has a very low grade, so high tide comes up to the dark line in the middle, but low tide extends beyond what you see here. With kids, it’s always a new experience. I shared our exploits from our trip last year, but this year was completely different: our 5-year-old son is now old enough to climb up to the loft bed, splash in the water without fear, and walk the shoreline without having to hold my hand. For her part, our 22-month-old daughter can sleep in a regular bed, interact with her world more, and vocalize precisely what she wants – an ability at which she excelled superbly and excessively, as you’ll see. Rather than just list some of the things we did, though, I thought it might be more fun if I recapped our vacation via quotes. So I made an effort to write down things I heard that I thought captured the essence of our vacation. Here are my top 10! “At first, I thought he was my friend – but he wasn’t, so I smacked him.” We were barely 5 minutes into our sojourn to the Land of Moxie when my son uttered these words from the back seat. He was responding to a question from my wife about a spider he thought was crawling on his leg. Turned out it was actually a tick, which is why he smacked it. Had it been spider, it would have no doubt found a home on his knee and taken a little nap, to his joy. But ticks are no friends of ours, so I pulled over and removed it – and then resumed our trip. “I want Anna!! !” While all the world is in love with Queen Elsa of Arendelle from Disney’s “Frozen,” our daughter is a fan of Princess Anna. Granted, she’s only 22 months, but she is already one of the movie’s biggest fans and already has somehow managed to learn that insidious “Let it Go” song. Consequently, everywhere she goes, if she sees Anna, she wants Anna – and tells us, loudly. This was a quote that resurfaced throughout our entire 7 days. “Eva!” Speaking of Disney, I have to wonder if the person who repeatedly called out this name one day along the beach realized the scene they were re-creating (click the link and jump to 1:07 to hear what I mean). I’m sure whoever it was, was looking for a daughter or wife – but their voice sounded remarkably like Wall-E! “I just saw a bikini top!” Now, here’s where you have to realize not everything you hear means what you think it means. At a place like the beach, one is bound to see bikini tops. When one is married, it’s probably not a good idea to mention said bikini tops. In this case, I was telling my wife about some of the images our son and I had seen in the clouds – and I did, in fact, see a pair of triangle-shaped clouds connected in such a way that they looked exactly like a bikini top, complete with straps. Clouds or not, however, blurting out this particular phrase to one’s wife is not something I’d suggest anyone do. They love each other, for now. “I want cweam. I want CWEAM!! !” On a short trek into downtown York (15 minutes walking distance), our Royal Highness Her Majesty overheard her mother and I talking about our plans: we’d stop by the park, then they could play at the little beach area, and maybe we’d get some ice cream before heading home for dinner. As soon as she heard the words “ice cream,” she announced her opinion of our plans in her sweetest yet LOUDEST voice possible. “Is it dead?” This was the question a woman asked me after I waded into the shallow water to examine something floating like a log in the waves. It was dark brown with white blotches and at first I thought it might be a dog, until I realized it was a dead baby seal. Several people had seen it from the shore, but apparently no one had felt compelled to investigate until I came along. My reply to her question? “Well, it’s missing the upper third of its body, so I’m thinking that would be a “yes.” Don’t mess with sharks, folks. “I want duck! I want duck! I want duck!” Once again, our daughter exhorting us to help her attain her goals. In this case, it was a seagull she saw along the shore – but telling her it was not a duck did not seem to matter. As far as she was concerned, it was a duck, and she wanted it. “That was pretty awesome!” As we were walking along the main road that leads from our cabin to York Center, our son held up a wet, slimy little stone to a woman passing by. It surprised all of us – her, probably most of all – but we quickly learned what it was: his very first baby tooth! We had known his two front bottom teeth were loose, but didn’t realize how loose. We told him we were very proud of him for wiggling it around long enough to pop it out – and that must have given him the impetus to pop the other one out an hour and a half later! That evening at dinner, he sprung this quote on us…and we had to agree. It was pretty awesome. You can’t see my desk, chair, microphone, or reference books because they’re just out of frame, an hour away. 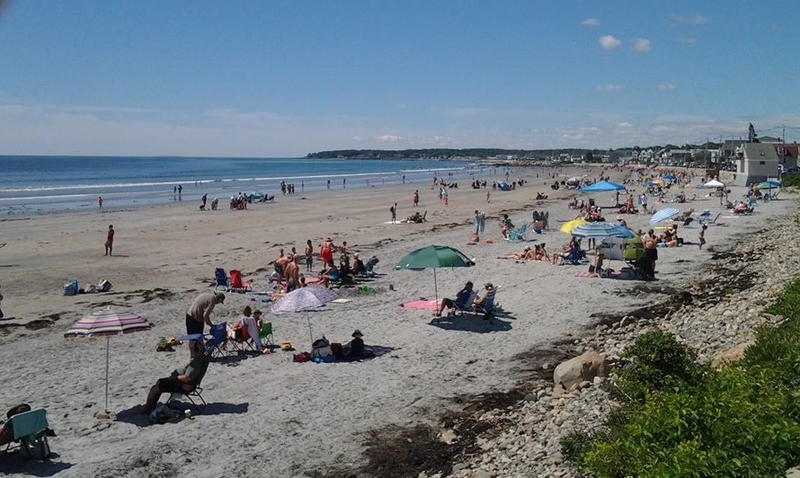 Yes, it’s that time of year again when we head off to York Beach, Maine – just over the border, but a million miles from home. In fact, I wasn’t able to post anything earlier this week because I’ve been so busy trying to get us ready for the trip while wrapping up a big radio commercial project I completed for the New Hampshire Association of Broadcasters and simultaneously writing query letters and a new picture book manuscript. Believe me, if anyone needs a vacation around here, it’s me! Happy birthday, Cleopatra. You’ve earned your spot on the bed. But before I get to today’s Poetry Friday offering, first things first: I need to share a photo of the lovely lady about whom I wrote last week. She just turned 17 years old, and I surprised a lot of folks with that last line. Now, then, for today’s poem: something I wrote last year, shortly after we got back from our first trip to York Beach. Interestingly, the poem has less to do with York Beach and more to do with my own memories of visiting the local shoreline as a child two or three times each summer. when I hold it to my ear. like a shiny new motor. …….this year might be the year. 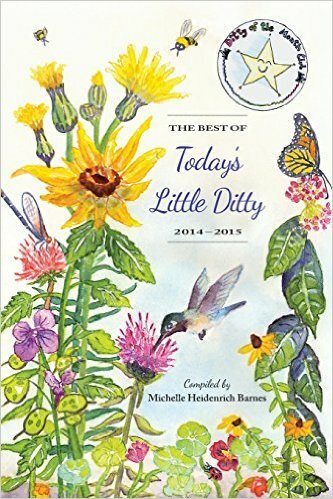 You’ll find all of today’s Poetry Friday links at A Year of Reading, so be sure to check out Mary Lee’s review of a new farm animal picture book, along with lots and lots of poetry! Enjoy the rest of your June…I’ll be back on Independence Day Eve, July 3rd! York Beach, Maine…our cottage was a 30-second walk from here. As you may know, I went on vacation with my wife and two youngest kids last week. I was looking forward to it, as I’d never gone anywhere for an entire week of vacation before, and I knew I’d be leaving work behind. I knew I would not even LOOK at a computer, much less perform work-related duties o one. I brought my cellphone, but with limited internet access, that was only good for keeping in touch with family if necessary. We weren’t going to be online, I wouldn’t be submitting any auditions for voiceover gigs, I wouldn’t be keeping up with my Facebook, Twitter, and LinkedIn accounts…everything was on auto-pilot. Surprisingly, I didn’t even get around to doing the kind of “work” I thought I would be doing…writing! Low tide at Longsands…so called because all the sand is wet and hard-packed – and easy to walk on! We drove about an hour and a half over to York, Maine to stay in a cute little summer cottage owned by some friends of ours. With a 30-second walk to the beach, you can imagine where we spent much of our time. I love the ocean, so the fact that we were on the shore and in the water each day was a joy unto itself. That my 4-year-old son was thrilled to be there made it that much more enjoyable. Whether he was digging in the sand, splashing in the water, searching the shoreline for seashells after high tide, or simply running around like a lunatic, he was having the time of his life. His 10-month-old sister, meanwhile, was content eating the sand, which we were constantly having to shovel out of her mouth. It may have been disgusting, but she seemed to enjoy it. Then there were the walks downtown. It only took about 20 minutes to get to the center of town, so we walked there nearly every day, as well. One day we stopped by the playground area then had some ice cream. Another day we walked over to York’s Wild Animal Kingdom. Next day we went shopping and I tried a dark-chocolate-covered frozen key lime pie slice on a stick (That was almost the highlight of the week). We ate breakfast on the deck each morning and I cooked dinner on the grill almost every night. And between the walking and the swimming and the playing and the grilling and the eating…I never had time to write. But I didn’t mind. I was too happy! I had brought my moleskin notebook – the one my wife gave me several years ago – to jot down notes and lines and other ideas…but it didn’t even make it into my hand. We were having so much fun, I realized that any effort to break away from what the family was doing was a detriment. Now, some writer friends may say that spending a week along the ocean without putting pen to paper just once is a sacrilege…but I think differently. Although I had planned on writing, had wanted to write, and even could have found the time if I really tried…the experience allowed me to soak up more than enough inspiration – possibly inspiration I might have missed if I had been writing. At some point, I’ll get writing about the trip. Perhaps I’ll craft a poem about my little dude’s kite that he loved watching soar high, high in the air. I might also write about his experience watching a butterfly hatch from a cocoon at York’s Wild Kingdom. Maybe I’ll write about seashells we found, or the dogs we saw running along the shoreline early in the morning and late in the evening. I already have some ideas I’ve been fleshing out in my head about lighthouses, crashing waves, and s’mores. So just because I didn’t submit any auditions doesn’t mean I’ll never get another voiceover gig again. And just because I didn’t do any writing doesn’t mean I don’t have plenty to write about. I’m looking forward to seeing what I come up with in the weeks ahead! I just might even write a poem about the seagull that pooped on my wife’s head while we were walking downtown. Memories like that can last a lifetime. As you may know, I’m spending each day this week at the beach with my wife and kids while she’s on vacation. So in keeping with that theme, I present this summertime story! For all of today’s Poetry Friday links and info, visit my fellow Poet’s Garage member, Buffy Silverman, at Buffy’s Blog! what are you doing down there in the sand? now you’re covered in sprinkles that no one would eat. landed softly right there, upside-down on the ground. let me try rinsing you off, if you please. Wait, what is this? Oh, I’ve caused a disaster! The water is making you melt even faster! why did you leave me? I miss you so much! I just hope the fish all like chocolate chip. I write poetry in a variety of styles and forms – some rhyming, some free verse. Some structured, some not quite so. You can therefore imagine how refreshing it was for me to see a children’s poetry collection that offered this same sort of variety – not the cut-and-paste sing-song of simple rhyming verse, nor the page-after-page of non-rhyming, uneven line-length free verse (which can sometimes get heavy for children’s poetry). In the case of Richard Michelson’s S is for Sea Glass: A Beach Alphabet (Sleeping Bear Press, 2014), we’re talking about a smart, well-structured book that carries one theme – poems about the beach – but presents that theme in 26 different ways. Because a trip to the beach or ocean carries with it so many different moods, sights, and feelings for a child, this book makes good use of poetic forms to highlight those differences. One minute the reader is contemplating the ebb and flow of tides, and the next he or she is chuckling over the author’s query of what, precisely, a mosquito is good for. Where does the sea stop and the sky begin? Where does the sun rise when the dawn slips in? Where does the ship sail when its sails disappear? Is it under the ocean? Is it up in the air? The horizon will always be just beyond reach. That magical line where the sea meets the sky. Doris Ettlinger’s illustrations perfectly match the poems, as they are neither trite nor bold nor ornate…but are simultaneously happy and calm, fun and reflective, cool and warm. The fact that it’s an alphabet book is almost superfluous. Which, I suppose, is a good thing, as I feel many of the poems – most, in fact, read above the level of a child who would need to learn the alphabet. As a collection of poetry, as a book about the beach, as a book that reflects the wonders, mysteries, and joy of being ocean side…S is for Sea Glass is beautiful. The fact that it’s an alphabet book seems unnecessary. Nobody’s at the beach today. ‘Most everyone’s complaining. …..The sky is dark. The clouds are thick. And I, the Rain, am raining. …..…...Folks let waves splash them head to toe. Do you hear any whining? …..…..…..They think it’s fun to get wet when their friend, the sun, is shining. …..…..…..…..I cool the breeze. And fill the seas. Who’s not a rainbow lover? …..…..…..…..…..So why, when I come out to play, do they all run for cover? Like I said, smart, beautiful, relatable poetry. And it’s poetry that makes children think as much as smile. Hopefully, the next time they go to the beach, some of the images will be fresh in their heads. I know many of the images are fresh in my head – but then again, I’ve been spending all week here by the ocean. Lots of people I know have done it. Many do it all the time…while others only do it now and then. Some have never done it at all. But the one thing I’ve never done is plan out my vacation time – schedule my days so I know what I’ll be doing and when. And although to some folks that may seem a bit too…oh, I don’t know – “Type-A”…it’s not really going to be that hard or cumbersome. Now, the family and I live just a little over an hour from the coast, so I usually try to spend several days – scattered throughout the summer – at the beach. But this year, I’ll be ocean side every day of the week! One day we’ll spend with the kids along the shore…one day we plan on taking the kids to see some of the local sights near the ocean…the next day we’ll be back in the water and then get dinner out. It’ll be just like a trip to the Bahamas but without the airsickness. I have a sneaking suspicion that just because I’m on vacation doesn’t mean my blog will be on hiatus. I have too much planned! In keeping with the ocean theme of next week, I’m looking forward to sharing a review of Richard Michelson’s new children’s book, S is for Sea Glass: A Beach Alphabet (Sleeping Bear Press, 2014) on Tuesday as well as one of my own beach-themed children’s poems for Poetry Friday. Since these posts are being written and scheduled this week, I probably won’t be able to respond to any comments next week (I’m on vacation, after all! ), but please know I’ll be looking forward to reading any and all that might get posted. Why can’t I be bothered to respond to comments, you ask? It’s certainly not because I don’t value feedback or the time folks take to share their thoughts. I do! Even if you don’t plan every detail of your week or so off…try to let work go. Vacation isn’t really vacation if you still feel the need to audition for gigs, answer emails, and carry on business conversations on your cellphone while halfway up the stairwell to the “Eye of the Storm” waterslide. I realize big gigs come along and you’d hate to miss out – but you’re missing out on your vacation time! And if yo don’t get the gig…what do you have to show? I prefer the “Triple-Ds.” We all need to de-stress, decompress, and give those old brains of ours a little diversion. I’ll be the first to admit my work is fun, but so is playing in waves and building sand castles with your son while you try to keep the 10-month-old from eating sand. There’s plenty of pleasure in life if you’re able and willing to stop for a minute and indulge in it. Fortunately for me, my work includes creative writing – which is also an immensely pleasurable pursuit perfect for vacationing along beaches.